Women commonly experience powerful emotions following the birth of their baby. You might have joy, fear, and — in some cases — depression. At the practice of Dr. Carlos Hernandez Obstetrics & Gynecology in Pasadena, Texas, Carlos Hernandez, MD, and his compassionate team of providers offer diagnosis and support if you feel like you’re suffering from postpartum depression. Call the office or schedule an appointment online to get the support and treatment you need to get through the depressive period and feel like yourself again. What’s the difference between the baby blues and postpartum depression? The hormonal swings that occur during pregnancy and childbirth can cause wild mood swings, sporadic crying, difficulty sleeping, and anxiety. These baby blues strike many women and can last for a couple of weeks following delivery. Longer lasting cases of depression are diagnosed as postpartum depression. You may have symptoms for an extended period of time and experience more severe side effects. Severe cases of postpartum depression may involve thoughts of harming the baby or yourself. Never be self-conscious about experiencing the symptoms of postpartum depression. It can be just a normal reaction to the hormone changes, sleep deprivation, and other changes that occur with a new baby. Prompt treatment helps you overcome the depression and enjoy your new baby. What does a postpartum depression evaluation entail? Dr. Hernandez performs a depression screening that includes a questionnaire. He’ll talk to you in depth to understand what you’re feeling and what your symptoms consist of. He may have you undergo blood tests to determine if your hormones may be contributing to the symptoms. What does the treatment for postpartum depression involve? Treatment for postpartum depression varies depending on your case and needs. Dr. Hernandez may refer you to talk therapy and provide medication to help get your brain chemicals and hormones in balance. During talk therapy, you have the opportunity to fully explore your emotions, concerns, and fears with a neutral party. You’re able to discover ways to cope with your feelings and solve problems. Antidepressant medications are also an option. Most are safe for use while breastfeeding. 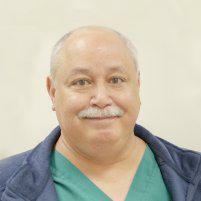 Talk to Dr. Hernandez about the pros and cons of your various options. If you have signs that suggest postpartum depression, don’t hesitate to contact the office or schedule an appointment online. The sooner you get help, the sooner you’ll feel better.